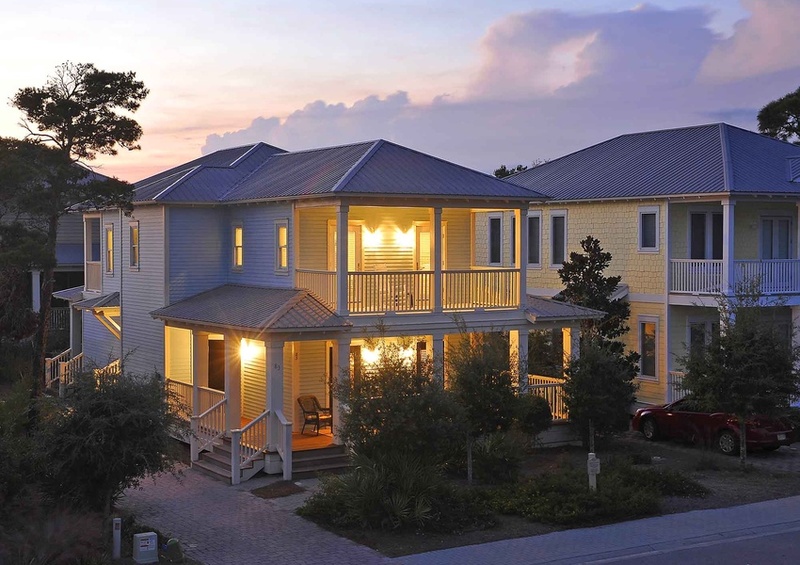 Come have a blast at Bernard’s Grayton Place ~ Vacation Rental Home in 30A by Southern! Your incredible vacation home is located in the desirable gated community of the Preserves of Grayton Beach. Surrounded by beautiful Floridian palms, oaks, pines, and mangroves, you’ll be enveloped by the beauty of Grayton Beach in scenic 30A. The driveway to the property is markedly complemented by the large first and second floor porches which allow for plenty of lounging space. Lush shrubbery surrounds the property and provides a relaxing atmosphere in addition to desired privacy without obscuring your view. Enter the home and you’re greeted by a visiting area with seating and also one of the guest bedrooms. Follow the stairs up into an open floor plan showcased by the living room, dining room, and kitchen. The kitchen features all stainless steel appliances in addition to a spacious breakfast bar which seats four. In addition to the dining room seating, ten people can comfortably sit with more than enough room to spare. Also on the second floor is the master bedroom and the other two guest bedrooms. The master bedroom features a king bed and especially luxurious master bathroom with a whirlpool tub and walk-in shower. The third and fourth bedrooms feature a queen and two twin beds, respectively. Large balconies with ample seating set the conditions for enjoyable nights visiting with family and friends. We know you’ll love your stay in the Preserves of Grayton Beach at Bernard’s Grayton Place. Make sure you also add some local events to really make this the dream vacation to remember! Book Bernard’s Grayton Place today!